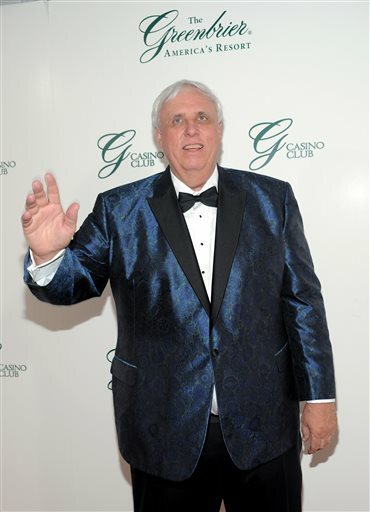 April 5, 2017 by Ken Ward Jr.
October 13, 2016 by Ken Ward Jr.
There’s been a flurry of response from both Jim Justice and his supporters to the blockbuster story by NPR (along with West Virginia Public Broadcasting and Ohio Valley ReSource) about Justice’s $15 million in unpaid taxes and fines. Some supporters, like the United Mine Workers, are rushing to defend Justice, and others — like the state Democratic Party — are trying to deflect attention with one of those “I know you are, but what am I” stories the career campaign consultants want our elections to be all about. Justice himself stooped to a silly attack on respected NPR reporter Howard Berkes, saying that Berkes was “twisting things” and trying to make Justice out to be a bad guy. 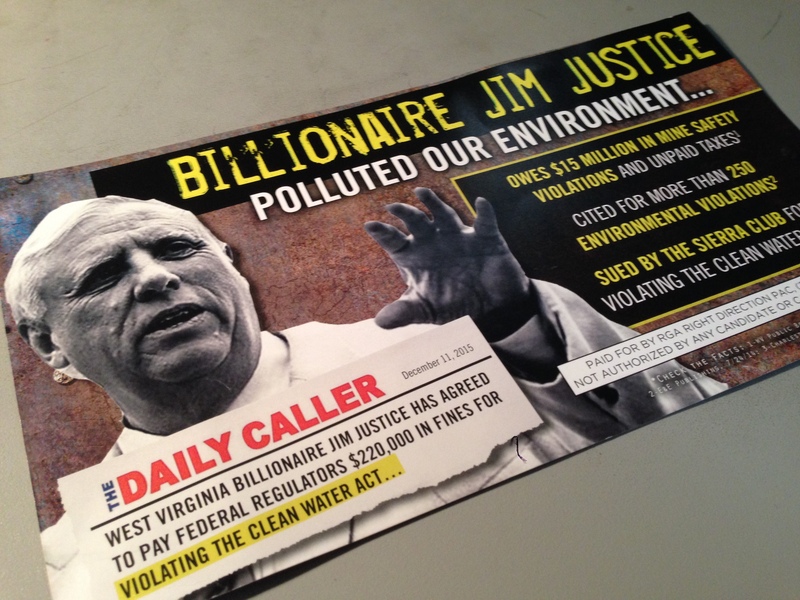 Coal Tattoo: In a statement issued yesterday, the United Mine Workers of America defended Jim Justice, saying that Mr. Justice’s “fines are, in fact, being paid right now.” What can you say from your reporting about that? To what extent are the MSHA fines “being paid right now”? 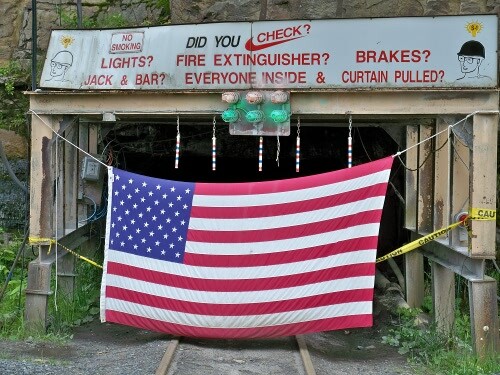 Berkes: It is true that Justice’s mining companies are making $75,000 a month in payments as stipulated in a payment plan with the Mine Safety and Health Administration (MSHA). That payment plan was signed on December 30,2015, and covers $1,546,363.04 in delinquent mine safety penalties that are under MSHA’s jurisdiction (payment plan documents [posted here]) in the form provided by MSHA in response to a FOIA request). Another $1,751,107 in delinquent mine safety penalties (including interest and fees) is at the Treasury Department for collection and is not covered by a payment plan, according to a detailed list of delinquencies as of 7/31/2016 and provided to NPR in response to a FOIA request. Some of the delinquent penalties at the Treasury Department have been referred to the Department of Justice for possible litigation and others are pending referral to DOJ. 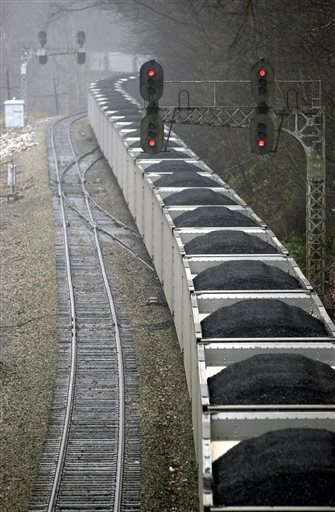 Coal Tattoo: Exactly how far overdue are these penalties, generally speaking? Are any of them penalties that are still being contested, or appealed, by the Justice companies involved? Berkes: All of the penalties in our analysis are officially final. They have been through any challenges and appeals. None are contested. We eliminated from our analysis any delinquent penalties listed by MSHA as “On Hold” because they were recalled for further review. The oldest penalties go back to August, 2009, and as we reported, there were $1,381,408 in newly delinquent penalties since January of 2014, when we first engaged with Justice and his mining companies, who said the delinquent penalties would be paid. 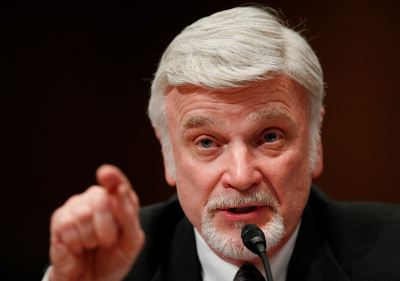 Coal Tattoo: What can you tell use from your reporting about the extent to which the total overdue debts you reported on — some $15 million — were for taxes or other things that are not MSHA fines and therefore not part of any payment plans with the federal government? Berkes: Only $1,546,363.04 in mine safety penalties is covered by a payment plan with the federal government. There are county payment plans for $4,555,297.29 in delinquent county taxes in Kentucky. Some of those plans were in default until the last few weeks. But as of last week, the Justice companies are making payment on all payment plans in Kentucky. We documented one county payment plan in Virginia in Tazewell County. That payment plan began after the county sheriff seized mining equipment. We also documented one county payment plan in Alabama. We found no evidence of payment plans, and the Justice companies did not assert the existence of payment plans, for $3,107,854.95 in federal tax liens in Kentucky, Virginia and West Virginia, and $3,941,541.59 in state tax liens in South Carolina, Tennessee, Virginia and West Virginia. Our spreadsheet summarizing Justice company debts by states and counties [is posted here]. Coal Tattoo: Are you aware of any movement since the publication of your story toward paying these other overdue debts? And have Justice, his companies or his campaign questioned the accuracy of anything you reported? Berkes: We have been in contact with the Justice companies and campaigns about our findings since early August, sharing our data and offering an opportunity to dispute the data and comment. In our first contact, Justice mining executives noted that some of the delinquent penalties listed by MSHA as unpaid in the data provided to us were listed as paid in MSHA’s Mine Data Retrieval System (MDRS). We then reviewed every delinquent penalty and also confirmed with MSHA the status of penalties listed in the MDRS. We then removed from our analysis and findings the penalties listed as paid in the MDRS. Justice COO Tom Lusk has provided updates on payment plans. We documented the revival of dormant payment plans, some of which occurred after county attorneys threatened lawsuits and after we contacted Lusk. Some counties confirmed that they were discussing payment plans before we contacted Lusk. There’s no question that Lusk was pursuing some of these payment plans, and some existed, before we contacted the Justice companies. We’re not aware of any payments since our story was published last week. Coal Tattoo: Justice indicated in Tuesday night’s debate that he doesn’t believe that not paying fines or taxes on time is part of any buiness plan or practice or pattern of his. But didn’t your reporting describe a pattern in which such debts weren’t paid, until attention was brought — either by the press or a lawsuit — over one particular set of bills, and those bills would then be paid, while perhaps others not brought to public attention continued to go unpaid or even got larger? Berkes: We found coincidental timing of some payments and payment plans. When the Gazette-Mail reported nearly $4 million in delinquent county taxes in West Virginia in April, most were completely paid-off in two weeks. When the county sheriff in Tazewell County, Virginia, seized mining equipment at a Justice mine in March, a payment plan began. When the county attorney in Harlan County, Kentucky, filed suit in October, a payment plan followed. When the county attorney in Knott County, Kentucky, sued and filed two motions for summary judgement in August and September, a payment plan followed. When NPR reported delinquent mine safety penalties in 2014, a payment plan followed (though two years later). In Pike County, Kentucky, we were told, a Justice mining company was not responsive until after NPR told Justice representatives that we were going to report delinquent taxes. We also found that some Kentucky county payment plans defaulted in this same time frame. Payments suddenly stopped, county officials told us, in January, April and May, and recently resumed. There’s a new report out from Downstream Strategies and the WVU College of Law’s Center for Energy and Sustainable Development that takes a look at the opportunities that the Clean Power Plan could create for West Virginia’s coalfields. Achieving compliance with the Clean Power Plan presents a number of challenges for West Virginia, which has historically relied on coal to generate most of its electricity and as an economic driver. Over time, coal-fired power plants in West Virginia will burn less coal, and other states that have historically imported West Virginia coal will also burn less coal. Increasingly stringent environmental regulations will converge with market forces that continue to make Central Appalachian coal less competitive—the development of cheap Marcellus Shale natural gas, the greater affordability of renewables, and the increasing cost of mining thinner and deeper coal seams. Even today, before Clean Power Plan implementation has even begun, coal production is decreasing, West Virginia coal miners are losing their jobs, coal companies are filing for bankruptcy, and severance tax revenues are declining. West Virginia has the resources to meet these challenges, however, and can usher in new economic opportunities with appropriate planning and policies. To do so, policymakers must take advantage of the opportunities presented by the Clean Power Plan and utilize the full flexibility provided by the rule to shape a strategy for West Virginia that reflects its unique circumstances and leverages its strengths. West Virginia is fortunate to have tremendous energy resources in addition to coal, and these other resources—including natural gas, renewable energy (wind, solar, hydropower), and energy efficiency—are relatively untapped. By implementing the legislative and regulatory policy changes outlined in this report, West Virginia lawmakers and regulators would provide an investment climate that attracts new investment in renewable and DG technologies, energy efficiency, and natural gas–fired generation. West Virginia can also spur innovation in other areas that would diversify the state’s electric power sector, reduce carbon pollution, and provide West Virginians energy savings and new economic opportunities. Taking advantage of the emissions trading opportunities contemplated by the Clean Power Plan would provide West Virginia with a fairly low cost compliance strategy, by incorporating the relatively abundant ERCs and allowances from surrounding states having greater zero- and low-carbon resources and energy efficiency savings, as noted in the DEP Feasibility Report, to enable coal plants to continue operating. A better strategy would be to take advantage of the economic opportunities that will be created by emissions trading, through enactment of state policies that will encourage the development of zero- and low-carbon resources and energy efficiency savings within West Virginia. The state’s strategy for achieving compliance with the Clean Power Plan should focus not only on minimizing compliance costs, but should also consider the opportunities that are created by the economic activity stimulated by the Clean Power Plan. Developing an all-of-the-above energy policy like those modeled in this report would help West Virginia take advantage of additional cost-effective compliance measures available under the Clean Power Plan, while at the same time capturing the other benefits of tapping into off of West Virginia’s energy resources. Leveraging all of West Virginia’s energy resources to reduce carbon pollution will also provide long-term benefits throughout the state as new jobs are created in new sectors of the state’s economy. Navigating a path forward for West Virginia will require a comprehensive approach, both in terms of the energy resources deployed and the involvement of policymakers throughout both the state and federal government. Lawmakers, regulators, utility operators, and other stakeholders in West Virginia can build upon the results of this report and develop additional analyses to evaluate West Virginia’s options for meeting its obligations under the Clean Power Plan. Coordinating state planning efforts with other states and PJM will provide additional insights and new compliance avenues. West Virginia regulators deserve the full support of the state government to engage in regional planning discussions. Building on the analysis conducted for this report will enhance West Virginia’s ability to take advantage of the broad flexibility provided under the Clean Power Plan and serve the dual purpose of providing a framework for identifying opportunities to expand other sectors of the state’s energy economy and foster new opportunities for economic growth throughout the Mountain State. There was an interesting ruling earlier this month out of the 4th U.S. 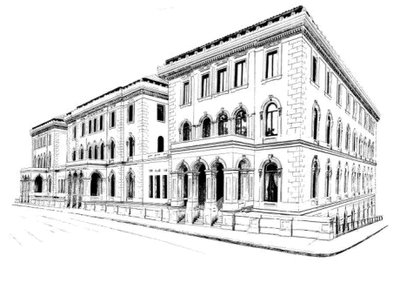 Circuit Court of Appeals in Richmond, in which citizen groups were again blocked in their efforts to litigate against a mountaintop removal mining permit using the growing body of science about mining’s public health effects. On August 10, 2012, the Corps issued a § 404 “dredge and fill permit” to Raven Crest for its Boone North No. 5 Surface Mine in Boone County, West Virginia. The Ohio Valley Environmental Coalition, West Virginia Highlands Conservancy, Coal River Mountain Watch, and Sierra Club filed suit, claiming that the Corps had violated the Clean Water Act and NEPA by not considering a series of studies allegedly linking mining to adverse health impacts. I’ve posted a copy of the 4th Circuit decision here, and also posted the citizen group brief, the coal company brief, and the Corps’ brief. Readers may recall that this issue came up before in other cases, one in which U.S. District Judge Robert C. Chambers refused to consider these health studies and another in which the 6th Circuit Court of Appeals sided with the Corps and the coal industry. The U.S. Department of Labor’s Office of Workers’ Compensation Programs today issued a final rule to strengthen safeguards for the health of coal workers. The rule makes significant revisions to the regulations implementing the Black Lung Benefits Act that will give miners greater access to their health information, bolster the accuracy of claims decisions, and require coal mine companies to pay all disability or survivor’s benefits due in a claim before modification can challenge the award. As readers know, this rule comes after Chris Hamby’s Pulitzer Prize-winning expose about how doctors and lawyers worked to keep miners from getting their benefits. December 1, 2015 by Ken Ward Jr. UPDATED: Judge tells jury to continue working. The jury in the Don Blankenship trial has sent a note to U.S. District Judge Irene Berger indicating they remain deadlocked. Shortly before 11 a.m., Berger received a note and subsequently called attorneys for both the prosecution and defense. Berger indicated that she intends to give jurors an “Allen Charge,” an instruction that is used to encourage a deadlocked jury to continue deliberating toward a verdict.Lead defense attorney Bill Taylor objected to the Allen Charge, instead calling for a mistrial. Assistant U.S.
Attorney Steve Ruby did not object to the Allen Charge, and asked that the judge follow the language used in previous Allen Charges used in the Fourth Circuit. In addition to the Allen Charge, Ruby asked Berger to use a previously proposed defense jury instruction. Court remains in session. Additional updates will be posted as they become available. November 20, 2015 by Ken Ward Jr.
Berger said the jury sent her a note asking for more information about those words, which are at the heart of two of the three felony counts pending against Blankenship. Blankenship is charged with making a false statement and securities fraud based on the statement Massey Energy issued after the Upper Big Branch mine disaster, saying the company did not condone mine safety violations and strove to be in compliance with all laws at all times. Berger called lawyers and the jury into the courtroom shortly after 2:30 p.m. and told the jury she had given them all of the legal instructions she could related to those counts of the indictment. Berger also explained that the 30-minute closed-door session this morning was held so she and the lawyers could question two jurors who reported that they had been approached by a member of the media. Berger said the jurors did not talk to the media representative, and she asked news reporters to stay away from jurors while they are deliberating. Berger said she plans to call the jury back in before the end of the day Friday and advise them that, if they have not reached a verdict by then, she would give them the Friday after Thanksgiving off, and probably the Wednesday before off as well. Judge Irene Berger’s courtroom was closed this morning to media and families, who waited in the hall while the jury deliberated. Berger then called for the lawyers in the case to meet with her privately in the courtroom. Prosecutors arrived quickly, since they were in the building, followed a short while later by Blankenship and his attorneys. The meeting is ongoing. A U.S. marshal refused our request to deliver a note of protest to the judge regarding the closed meeting. November 19, 2015 by Ken Ward Jr.
During closing arguments, attorneys for the prosecution and defense used a plethora of exhibits to make their case. I’ve slowly been adding links to those exhibits to the official transcript. The jury in the Don Blankenship case was told to continue deliberating after telling the judge this morning that it “cannot agree” on a verdict. Berger told the jurors that given the length of the trial, the number of witnesses and the limited amount of time they had so far deliberated, that she wanted them to continue their deliberations. After giving the jury that order in open court, the judge released the eight women and four men for lunch shortly before noon. Berger denied a request from defense lawyer Bill Taylor for a mistrial. November 18, 2015 by Ken Ward Jr. Jurors in the Don Blankenship trial resumed deliberations this morning on the charges against the former Massey CEO. U.S. District Judge Irene Berger sent the eight women and four men back to the jury room shortly after 9 a.m. Wednesday. Berger told jurors to knock on the door of the jury room to alert a court security officer if they wanted to take a break. November 17, 2015 by Ken Ward Jr. Jurors in the Don Blankenship criminal trial took a brief break this morning after U.S. Attorney Booth Goodwin completed the first portion of the government’s closing argument. The jury will hear next from lead defense lawyer Bill Taylor. In his closing, Goodwin tried, among other things, to reduce the impact of testimony that former Massey official Chris Blanchard, a government witness who provided much helpful testimony to the defense during his cross examination. Goodwin referred to Blanchard repeatedly as one of the “yes men” who did Blankenship’s bidding. Goodwin also said Blankenship was obsessed with “flashy things” — like reflective clothing for miners — more than spending money on miners to keep up with safety laws. Inside the courtroom, the gallery remained at full capacity. People who were trying to get in and watch were directed to an overflow room with a televised video feed of the proceedings. That room contained about 20 people at one point, including U.S. District Judge Joseph R. Goodwin, Booth Goodwin’s father. Booth Goodwin took about an hour and 15 minutes of the two hours allotted to the government for closing arguments, saving 45 minutes for rebuttal. U.S. Attorney Booth Goodwin told jurors this morning that former Massey CEO Don Blankenship operated Massey’s Upper Big Branch as “an outlaw” mine that deliberately violated safety laws to run coal. “The defendant, Donald L. Blankenship, ran a massive, massive criminal conspiracy,” Goodwin said, pointing across the courtroom to where Blankenship sat at the defense counsel table. Goodwin began his opening statement after jurors heard more than an hour of legal instructions from U.S. District Judge Irene Berger. Goodwin showed jurors slides with quotes from the now-famous memo outlining the safety concerns raised by former Massey official Bill Ross. And, in explaining to the jury that the conspiracy Blankenship is charged with, Goodwin reminded jurors that the agreement to conspire did not have to be spoken. Goodwin said Blankenship did not have to be aware of every act committed to further the conspiracy. He compared that to a drug kingpin not needing to know the details of every street corner deal. “He was the kingpin,” Goodwin said, pointing at Blankenship again. Joel Ebert adds: As of 10:45 a.m., Goodwin was still making his opening statements in front of a gallery with 64 people watching. Both the defense and the prosecution have been given two hours to complete their closing arguments. An overflow room has been opened where closing arguments are being televised for those who wish to watch. October 16, 2015 by Ken Ward Jr. This is an update Ken wrote while in court this morning. Former Massey Energy official David Hughart remained on the stand for cross examination from Don Blankenship’s defense lawyer, Blair Brown. Brown asked Hughart questions about a series of memos and emails in which Blankenship and other Massey officials pressed mine managers like Hughart to improve safety conditions and reduce Massey’s violations. Also Friday, U.S. District Judge Irene Berger allowed Brown to question Hughart about an incident the day before Hughart met with prosecutors to discuss a potential plea deal on mine safety charges. Hughart admitted he was detained by police that day after he bought 120 painkillers he planned to use and distribute. Hughart admitted he was never charged in that incident and subsequently entered into a plea deal with U.S. Attorney Booth Goodwin in which he agreed to testify against Blankenship. On redirect by Assistant U.S. Attorney Greg McVey, Hughart testified that he had previously been injured in a mining accident and was prescribed painkillers when that injury flared up. He said he became addicted to the pills after being on them for a period of four to five months. Hughart said he received 10 months off his original 42-month sentence after completing the U.S. Bureau of Prison’s drug treatment program. October 2, 2015 by Ken Ward Jr. In an apparent win for public and media access, U.S. District Judge Irene Berger has told lawyers in the Don Blankenship case that she will grant a motion from the Charleston Gazette-Mail and West Virginia Public Broadcasting for daily access to trial exhibits that are shown to jurors. During a court session on Thursday morning, Berger noted that she had received the media motion, which referenced a 4th Circuit Court of Appeals ruling mandating such access to exhibits and said she wanted to comply with that ruling in Blankenship’s case. The judge told prosecutors and defense attorneys that they should provide a copy of all exhibits for the media by 9 a.m. the day after those exhibits are used in court. Also, Judge Berger told both sides that they had until the close of business today to file any response to the media motion asking that the jury selection be opened to the public and the press. That’s all according to a review of a transcript of Thursday’s court session, which was briefly available for viewing on a public computer terminal at the clerk’s office at the federal building here in Charleston. 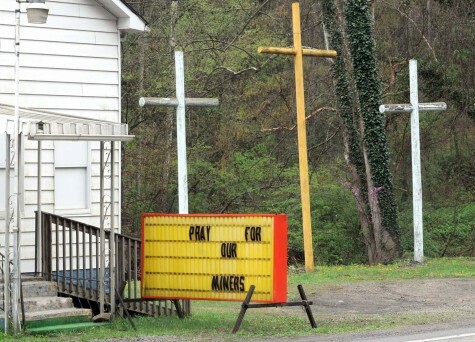 April 5, 2015 by Ken Ward Jr.
January 30, 2015 by Ken Ward Jr.
A Somerset County man died in a coal mining accident at Brubaker Mine in Hooversville, the first such death in the country this year. Rick Kline, 43, of Central City was trapped between the continuous mining machine he was operating and a rib of the mine about 6:30 p.m. Wednesday, according to a statement from LCT Energy, the company operating the mine. MSHA’s preliminary report is available here.